3764 square feet with 4 bedrooms and 3.1 baths. Beautiful hand-scraped hardwood flooring throughout the main level of the home. Expansive gourmet kitchen with all of the features looks into the vaulted great room with stone fireplace. Endless summer fun in the in-ground pool, large patio, fire pit, and elevated deck. To request a private showing for 830 Gallery Lane or to learn more about this luxurious home, contact the Ann Arbor Real Estate specialists with The Bouma Group today at 734761-3060 or info@bouma.com. Hunter’s Ridge is a peaceful Saline neighborhood with spacious homes situated on sizable lots. Although there is a rural atmosphere, the subdivision is located near many amenities. There is currently 1 home listed for sale and so far this year, 3 have sold. $499,000. 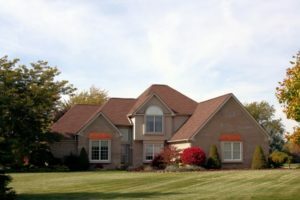 339 Hunter’s Ridge Dr., Saline. 2894 square feet with 3 bedrooms and 2.1 baths. $505,000. 312 Winchester Dr., Saline. 3383 square feet with 3 bedrooms and 2.1 baths. $487,500. 464 Hunter’s Ridge Dr., Saline. 2772 sq. ft., + 1950 in finished lower level, 4 bedrooms and 3.1 baths. $482,500. 7422 Steeplechase Dr., Saline. 2844 sq. ft., + 1100 in finished lower level, 4 bedrooms and 2.1 baths. Last year at Hunter’s Ridge, 5 homes sold with an average sale price of $445,700 and an average price per square foot of $160.00. The 3 homes sold this year have an ASP of $491,667, up 10.3%, and an A$/SF of $165.00, up 3%. To learn more about home values at Hunter’s Ridge, contact the real estate specialists with The Bouma Group at (734)761-3060 or email info@bouma.com. View more Saline neighborhoods here!